Back in the days when I was living with my parents we ate a lot of fish. Mostly, it was fish we caught during the year because my folks loved to fish on their days off. During the summer, when I was out of school, we would drive down state or over the state line to one of their favorite fishing holes. Perch, trout, catfish and something my mom called butter fish were usually the catch of the day. My parents loved to go deep sea fishing which required taking a chartered boat out for the day. I was too chicken to go on the boat so I would stay home and hope they caught a few flounder that day. Thinking about those days and eating lots of fish reminded me that one of my favorite meals was salmon croquettes. At least that is what my mom called them. 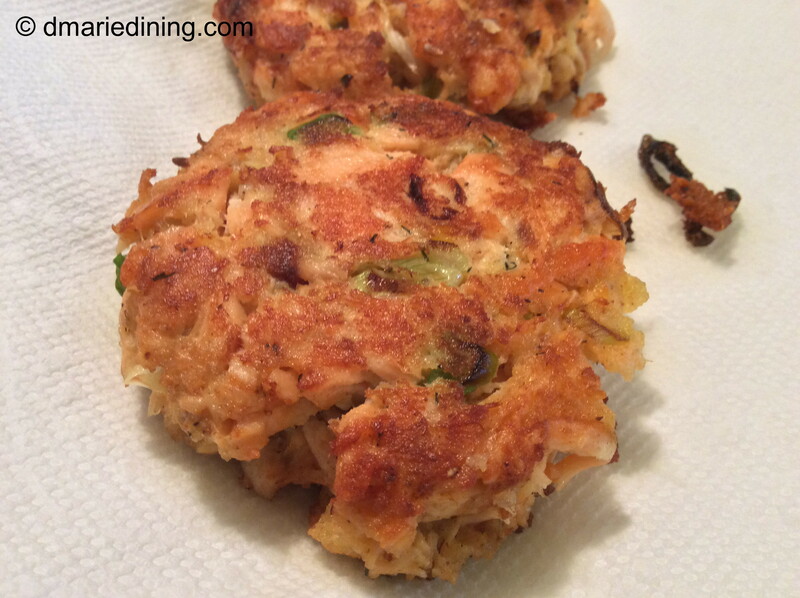 Not quite like chicken croquettes but more like a crab cake made with salmon. The salmon was delicious although I thought it was weird eating soft fish bones. Yeah, my mom used canned salmon like most folks back then. Don’t get me wrong. I have nothing against canned salmon. 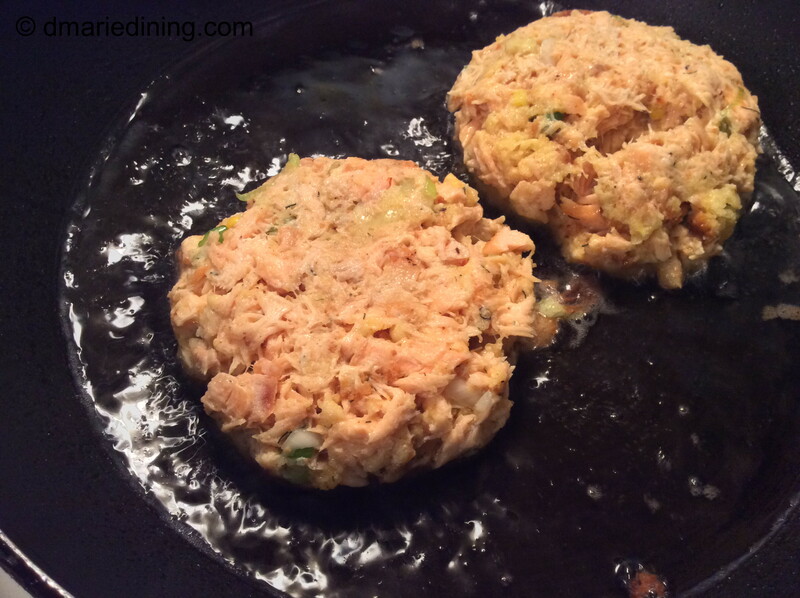 I made my first Salmon Patties (as I call them) using canned salmon. 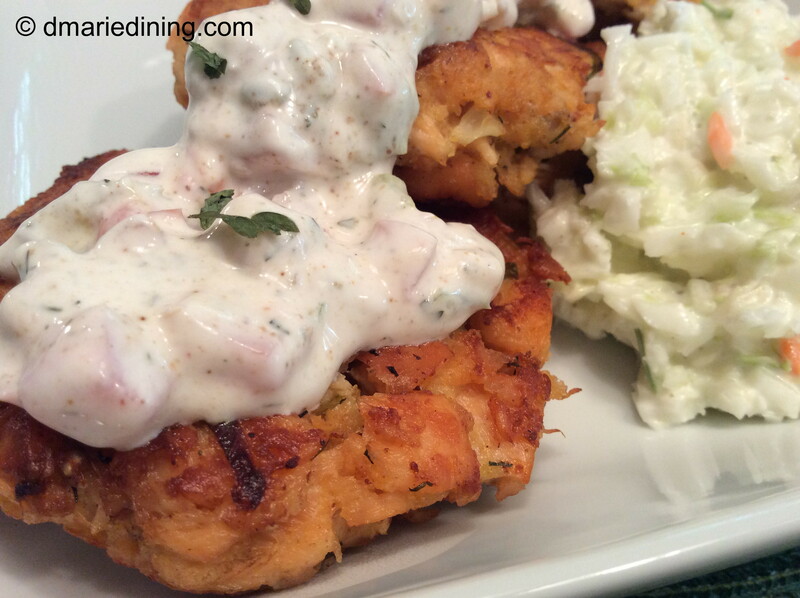 I never thought about using fresh cooked salmon for my mom’s version of salmon croquettes. 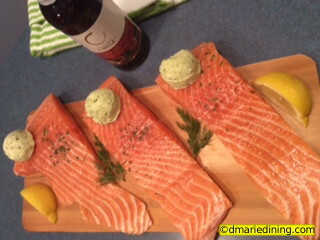 As I have developed my cooking chops and expanded my creativity, I decided fresh salmon was better than canned salmon. Of course, if I am in the mood for Salmon Patties and fresh salmon fillets are not available, bring on the canned salmon. Yup, I still keep a can in my pantry. Remember, fresh is always best! 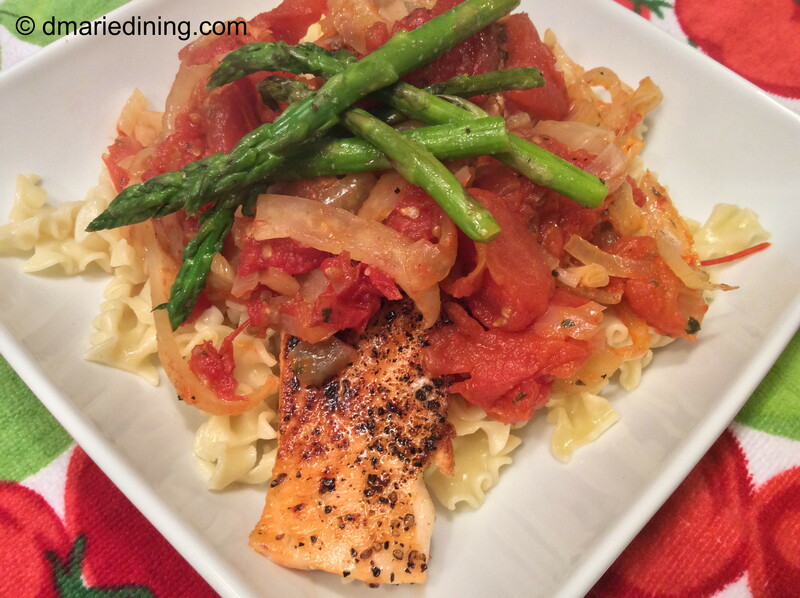 However, whether you use fresh or canned salmon I can almost guarantee you will enjoy this very simple but flavorful dish. Lightly beat egg with half and half then set aside. 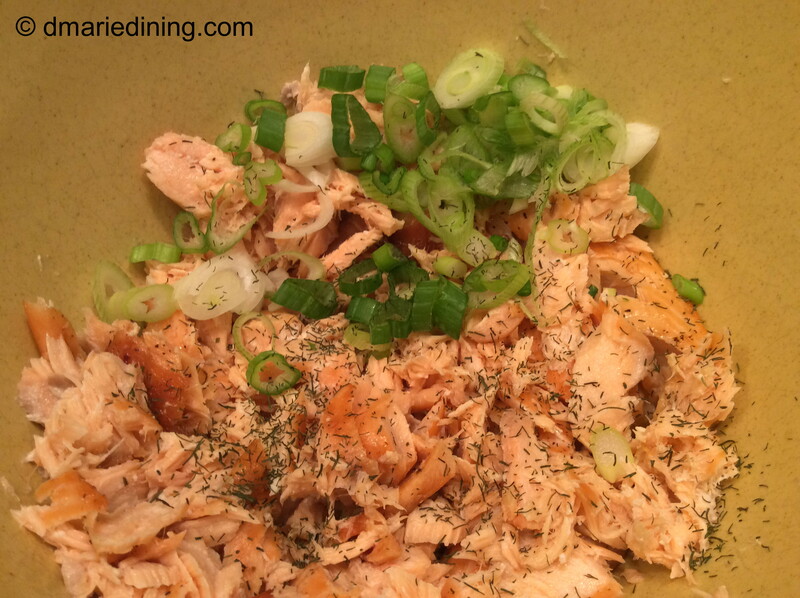 Place salmon in a large bowl and flake with a fork. Add bread crumbs, scallions, seasonings and egg mixture. Mix together well then form into patties. Place no more than 4 patties in the skillet to prefer crowding. Brown on both sides until golden then remove from skillet and drain on paper towels. Serve with Seafood Sauce shown below. Mix well. Chill for at least 30 minutes. I am always looking for new appetizers and snacks for parties or just to have on the weekends. I try to incorporate veggies as much as possible to keep the appetizers light. 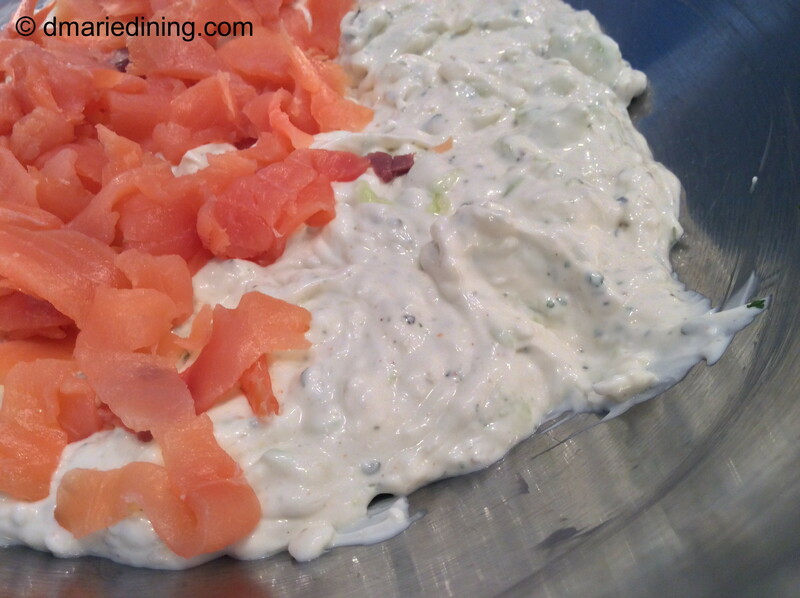 One appetizer I really like to make is a smoked salmon spread. 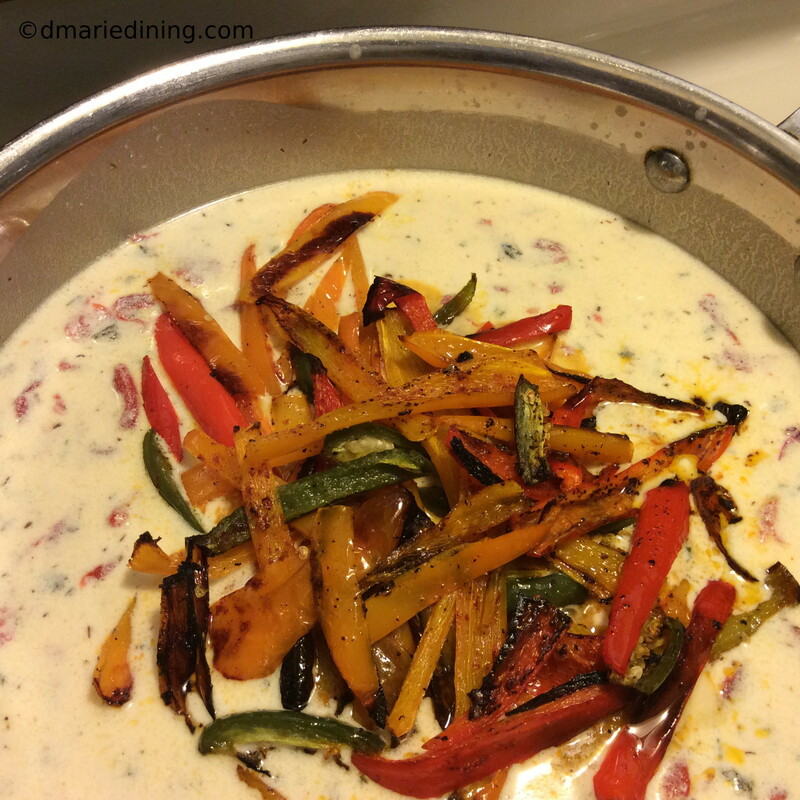 I use light cream cheese and reduced fat sour cream to lessen the calories but maintain flavor. 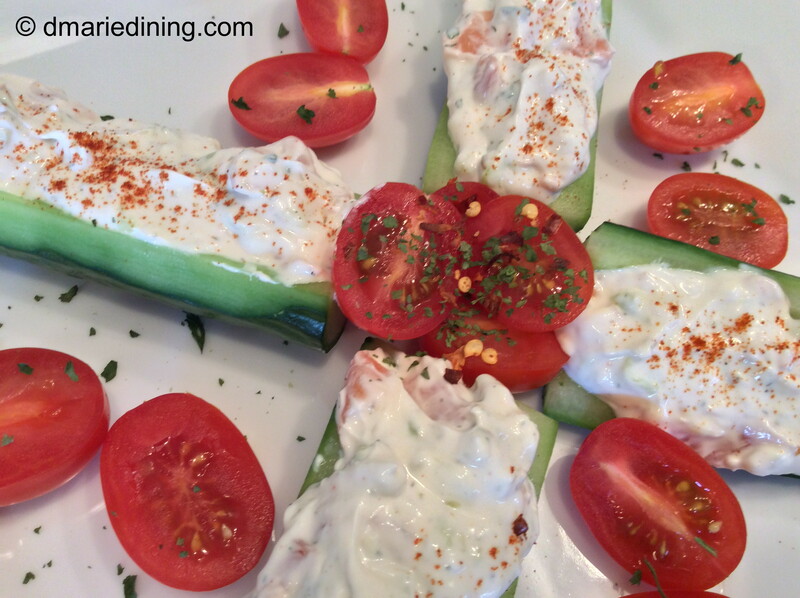 The other day I had an English cucumber leftover from another recipe that I did not want to waste so I decided to make a quick appetizer by filling the cucumber with my smoked salmon spread. I just tweaked the recipe a little by adding the scooped out center of the cucumber to the spread to add another layer of texture. 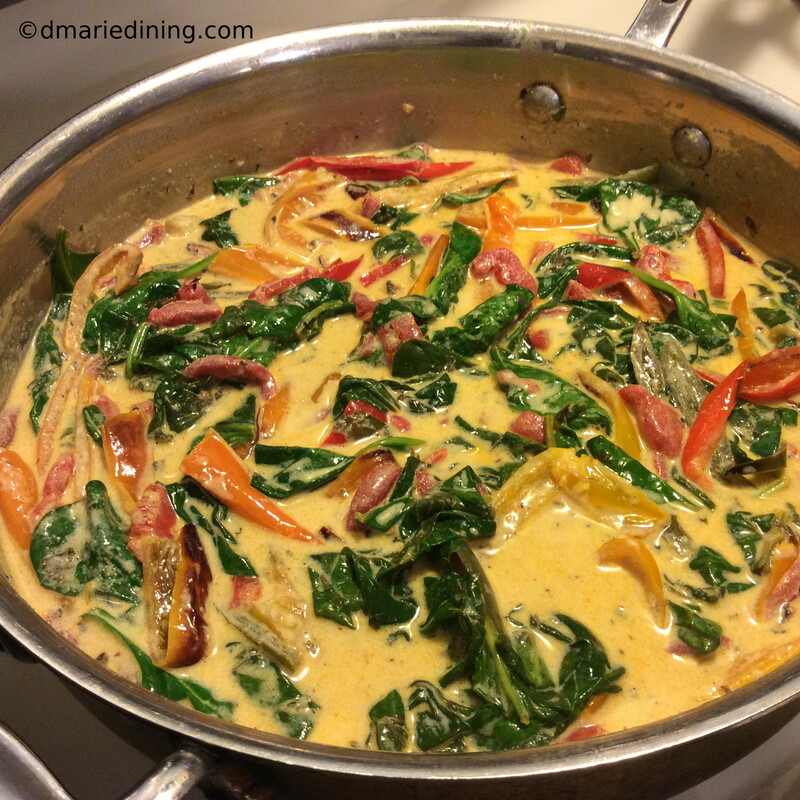 My hubby is big on textures when it comes to food which has made me more aware of including different textures when I cook. I think it helps to enhance most dishes when you can have layers of flavor and layers of textures. What better way to create a party in your mouth and keep the experience of eating interesting than by tickling your taste buds with variety of textures and flavor! 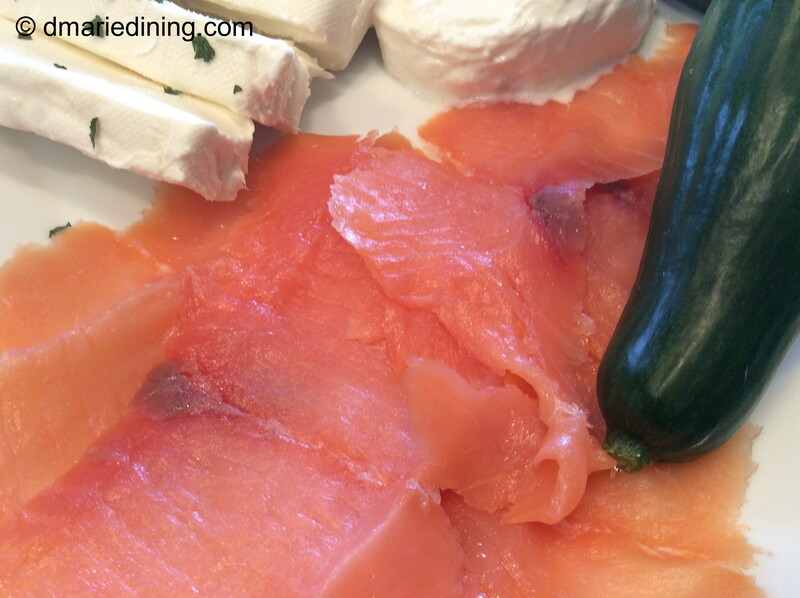 To me, smoked salmon and cucumbers is a fancier version of celery filled with pimento cheese or peanut butter. 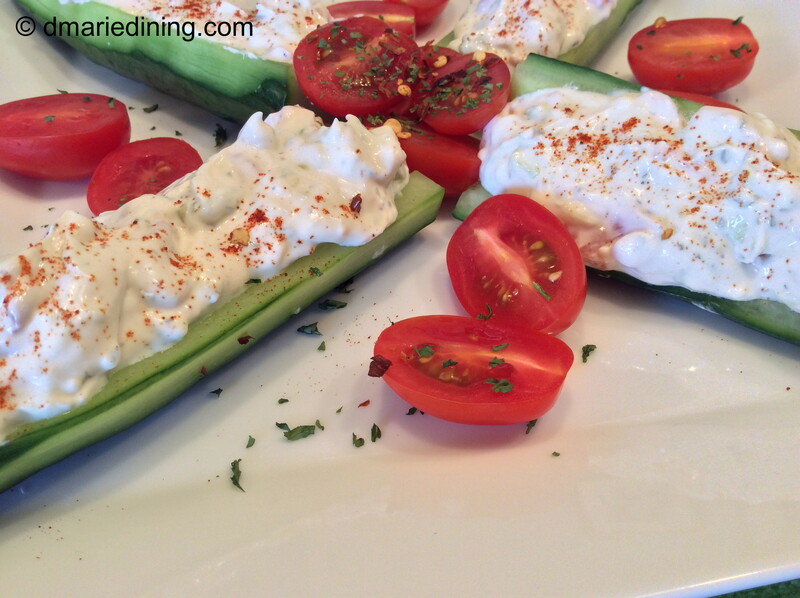 A great appetizer or snack that is easy to make and wonderful to eat. Scoop out the center of cucumber and reserve. In a medium bowl cream together the reserved cucumber center, cream cheese and sour cream. Add lemon juice, zest, dill and seasonings to cream cheese mixture. Blend together until well mixed. Gently incorporate the salmon into the mixture. Cut the cucumber in half lengthwise. Cut into bite-size pieces. Spread salmon mixture into the center of each cucumber bite. Arrange on a tray and then refrigerate until ready to serve. Sprinkle with smoked paprika prior to serving. Salads! A quick and light meal during warm weather. 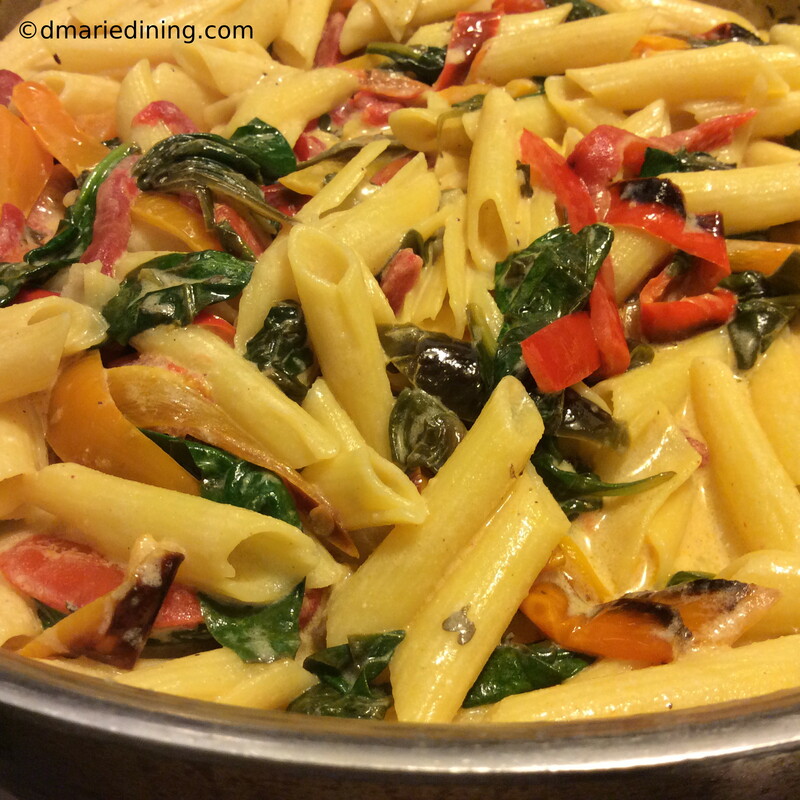 A refreshing side dish with heavier meals during cooler weather and good for you all year round. 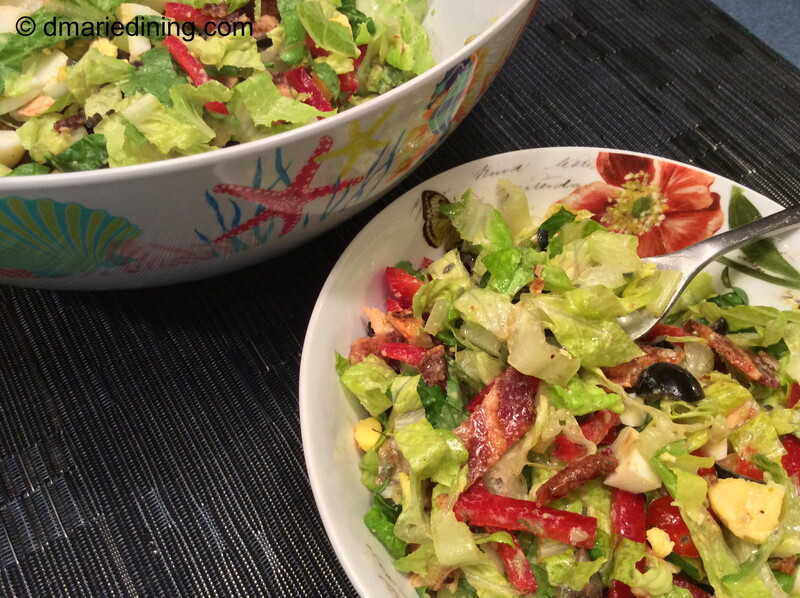 I am in salad mode which means I am into preparing some type of salad for my family almost every night for dinner. Fortunately, my family loves salads as long as I give them variety. 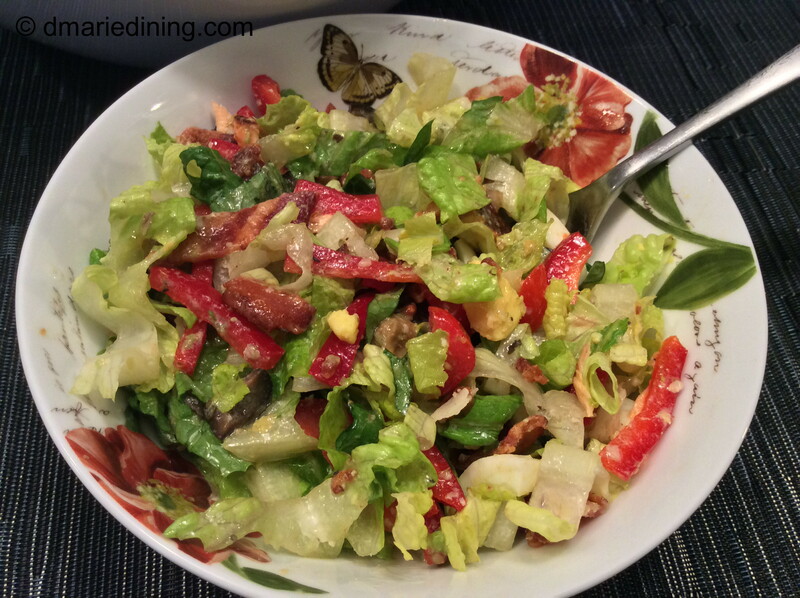 It really isn’t hard to come up with new combinations of of ingredients when I create salads. However, I do have to make sure the combination of ingredients work as a salad. A few times I have had some wild salad ideas but I decided against posting them because although I like sauerkraut it just didn’t seem to work well with tomatoes, cheese and carrots. 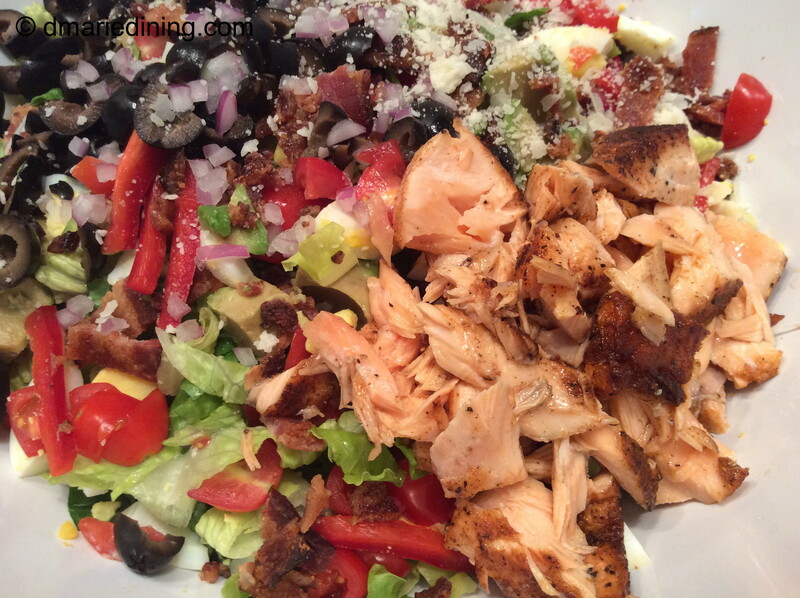 One of the best things about chopped salads is that chopping up everything that goes into the salad keeps it simple. The only thing I worry about is making sure there is a great combination of flavors and textures. 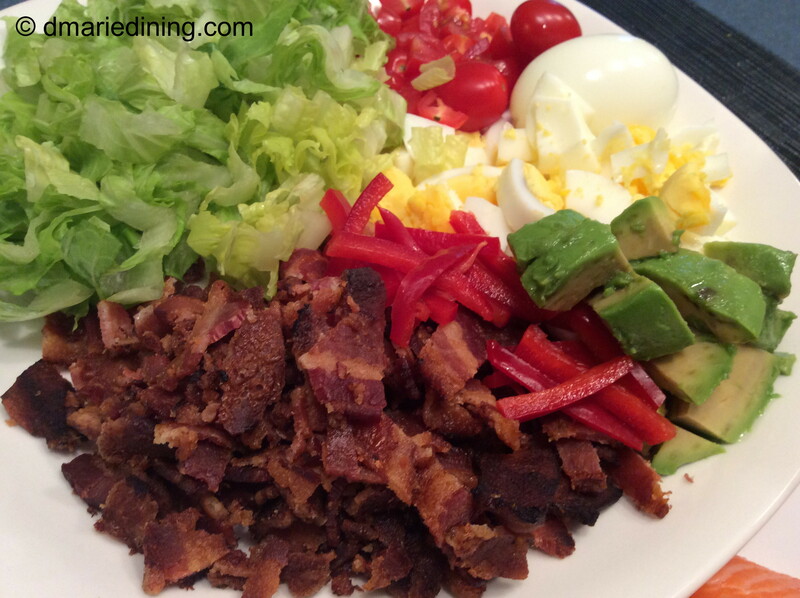 Like the crunch of salty bacon and the smooth creamy taste of boiled eggs and avocado. 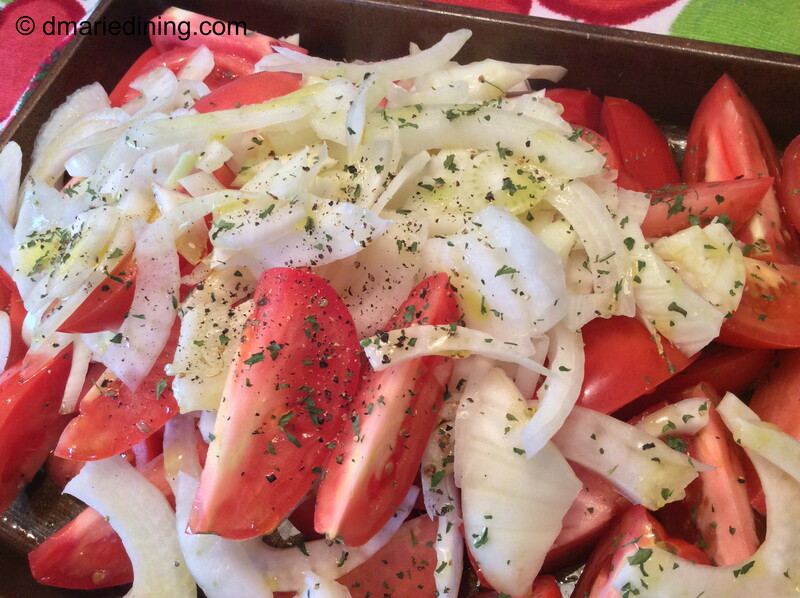 Plus, lots of sweet tomatoes and just the right bite from carrots and red onions. 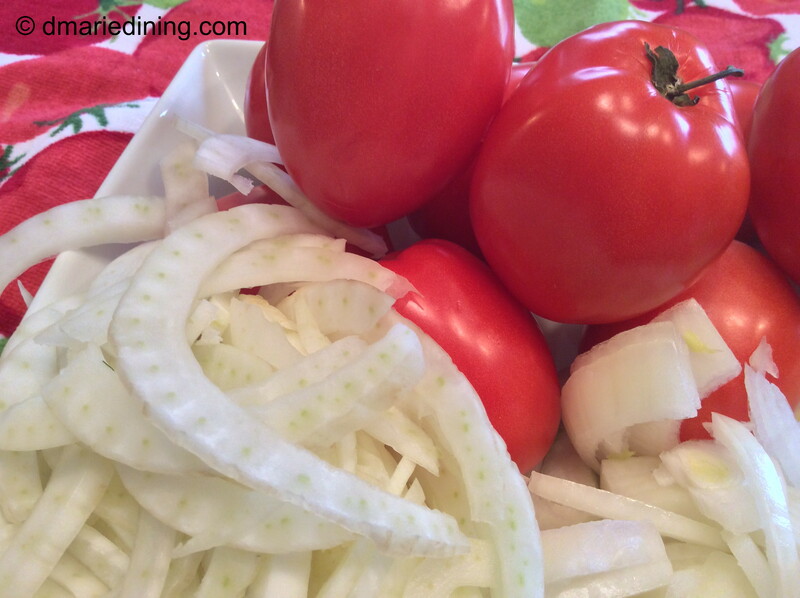 There are so many options of veggies to use when making a chopped salad. If you like certain veggies and they compliment each other, go for it. Chop them up. Put them in a bowl and dress it up with a nice salad dressing. You cannot go wrong. Does anyone else out there have a “go to” meal? I think everyone should have at least one meal they can pull out of their mental file and know it will be perfect without much fuss. My “go to” meal is teriyaki salmon with noodles and sauteed asparagus. Salmon. What can I say about salmon? 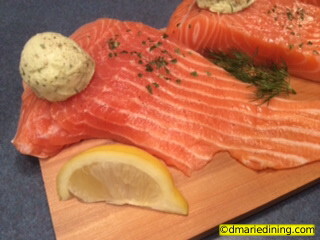 Besides being one of the healthiest fish to eat because of the omega 3 fatty acids it provides, salmon tastes fantastic! 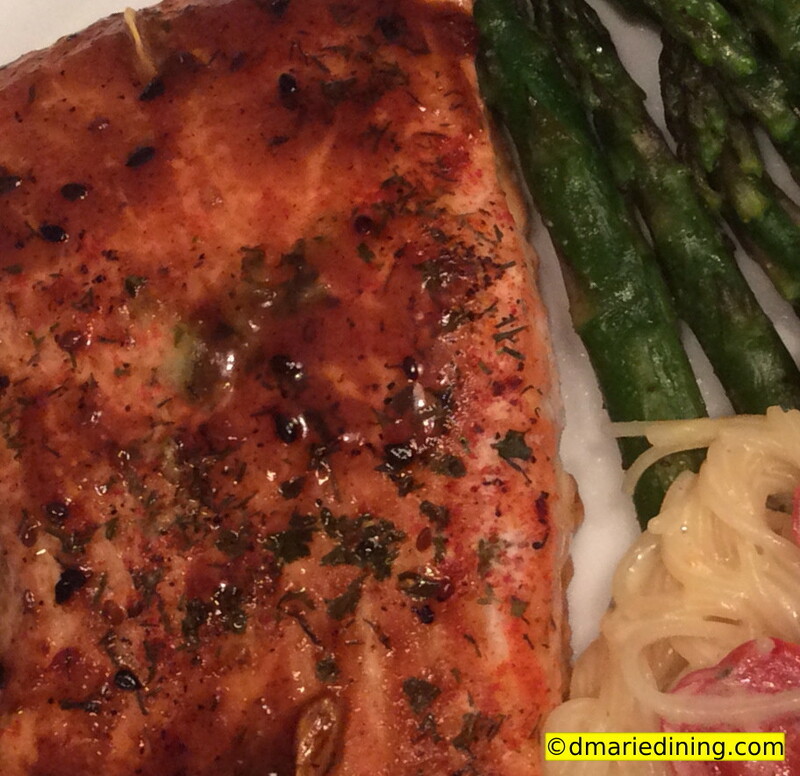 Just a few seasonings and lemon brings out the natural flavor of salmon. Adding a nice teriyaki sauce just enhances the flavors and brightens up the fish. I have tried a lot of different teriyaki sauces but have fallen in love with a spicy teriyaki sauce from Culinary Circle called Shanghai -Inspired Five Spice Teriyaki Marinade & Dipping Sauce. 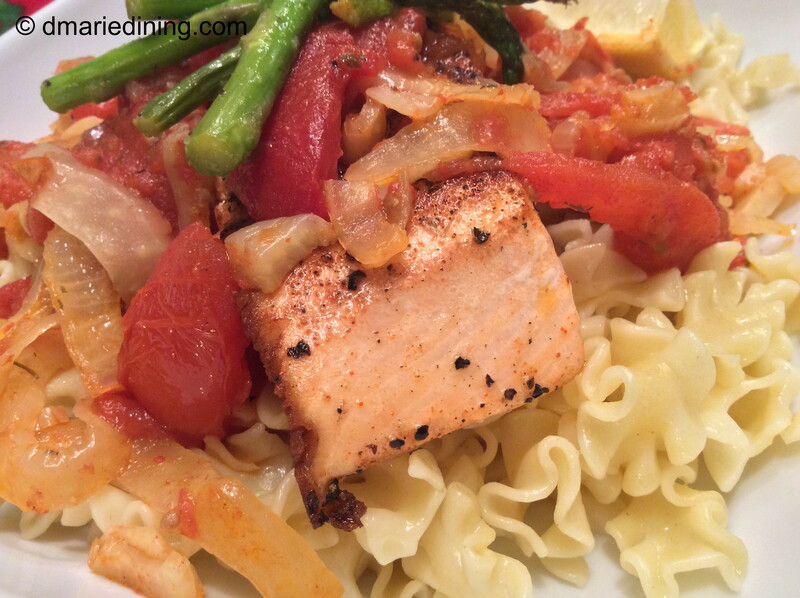 The sesame and ginger in this sauce are well balanced and does not overpower the salmon. There are several types of salmon (pink salmon, king salmon, sockeye and more) each with a different taste, coloring and fat content. 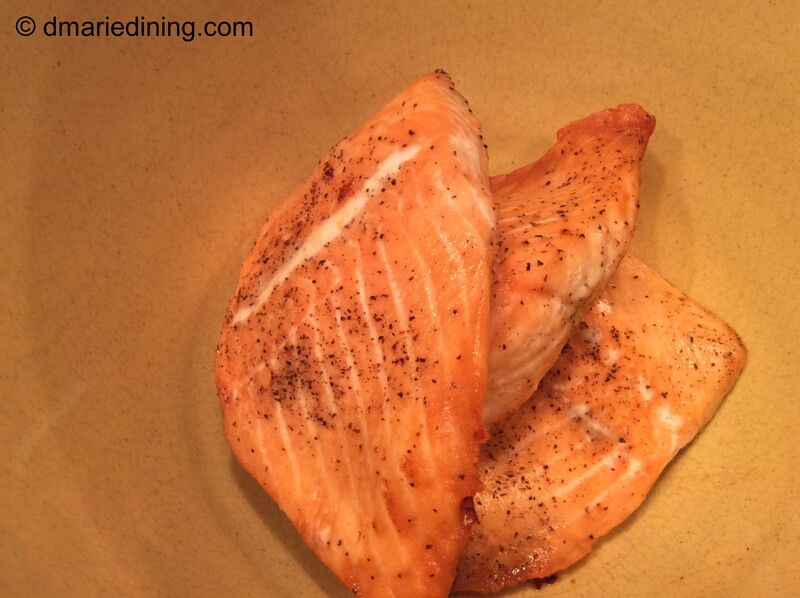 Pink salmon is the most common and has a lower fat content than others like king salmon which has a very high fat content. 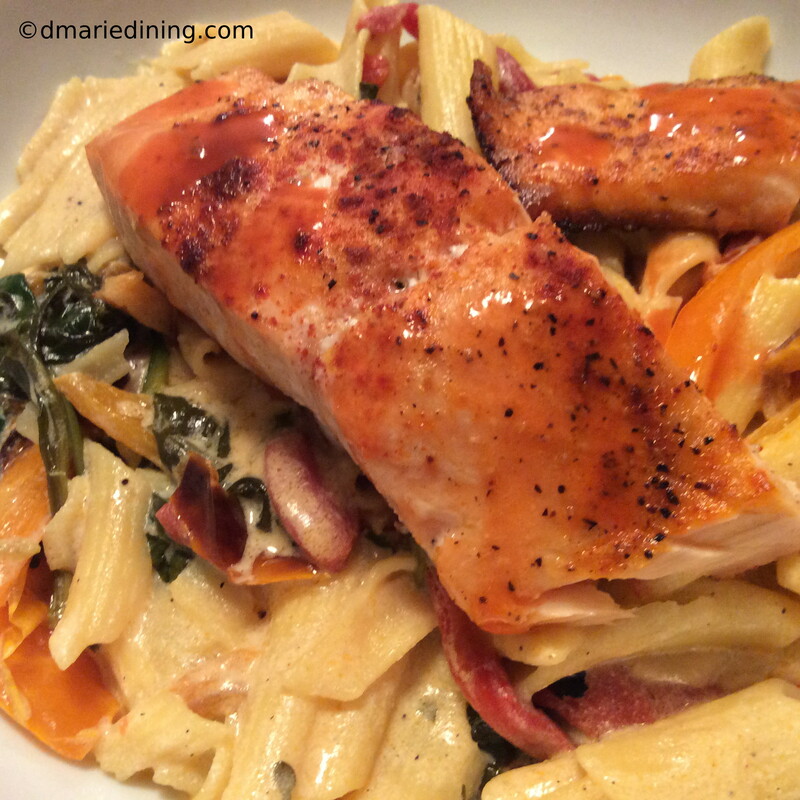 I prefer pink salmon and look for well marbled fillets which helps keep the salmon moist while cooking. 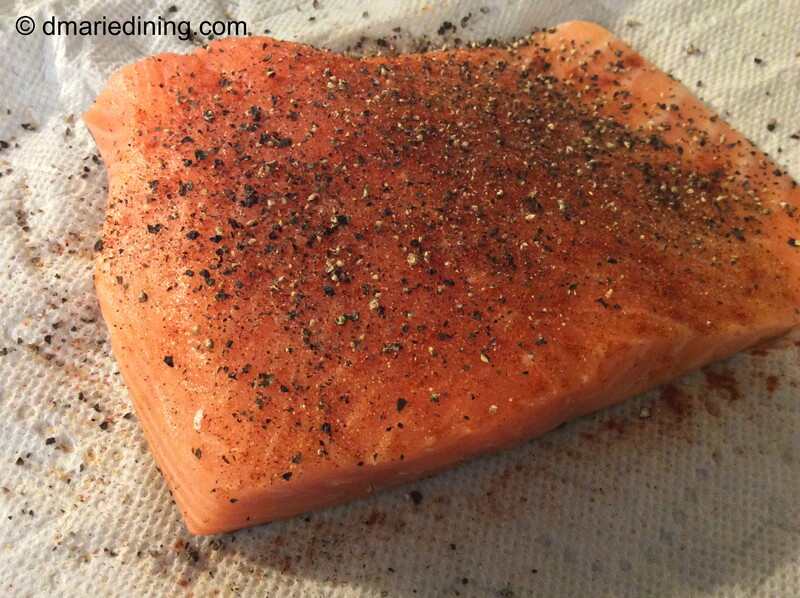 To add another layer of moisture buy salmon with the skin still in tact which will also retain moisture in the fish. 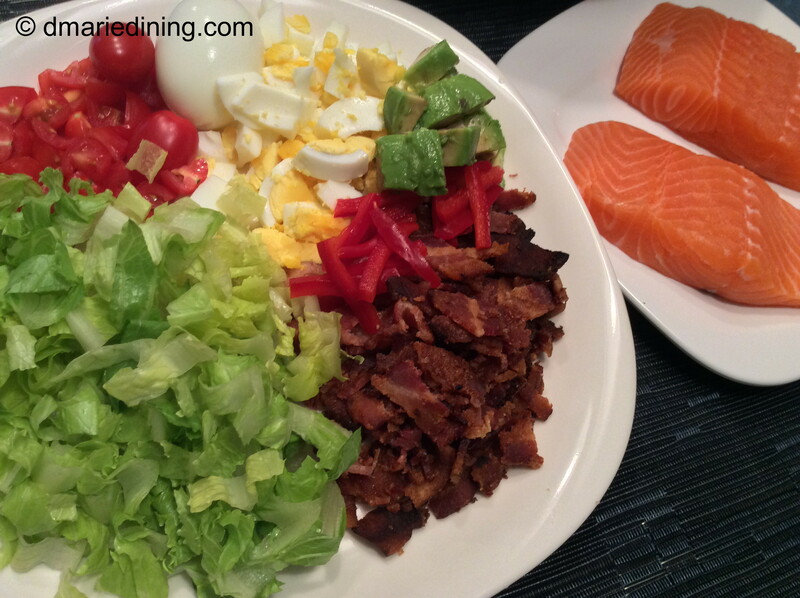 No matter what type of salmon you choose it takes less than 30 minutes to prepare and will be both delicious and healthy. 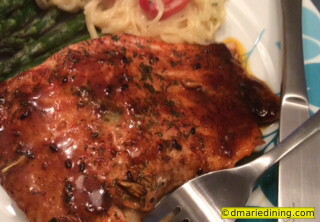 So if you need a “go to” meal to add to your mental file for a quick and easy dinner, think about teriyaki salmon. Your family and friends will love it.